Main Street 1927-Model T owners may not be a primary stakeholder this time around. 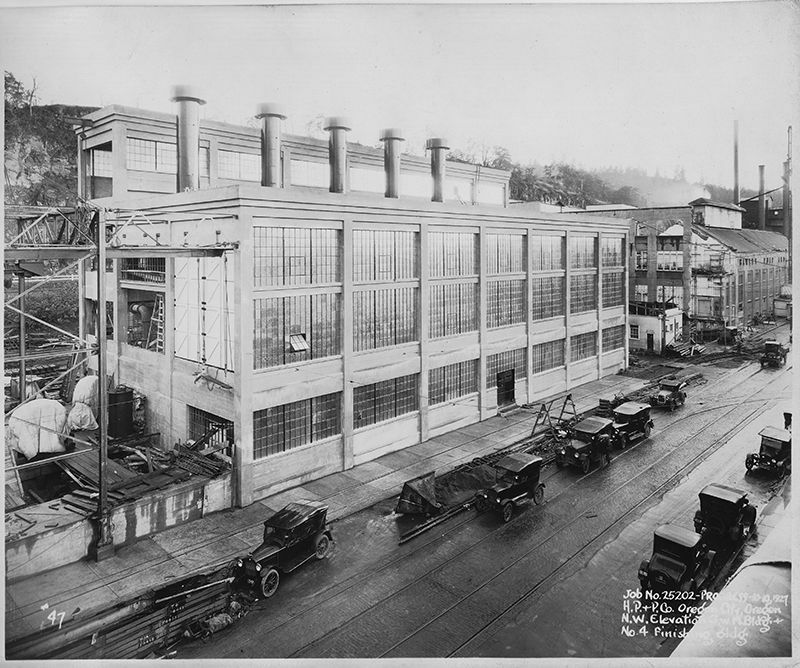 Photo courtesy of Clackamas County Historical Society. The Willamette Falls Legacy Project is working on a transportation plan to go along with riverwalk design and construction. The goal is to ensure that people are able to conveniently visit the new public space, while minimizing any inconvenience to nearby commercial and residential areas. The project team plans to incorporate best practices and take concrete steps to identify opportunities and solutions with community input and support. To achieve the best results, all of the “tools in the toolbox” will be considered. The project team hopes to hear from neighbors who have intimate knowledge of downtown Oregon City as well as harness the creativity of those in the region who are experts in various forms of transportation such as walking, biking and transit. 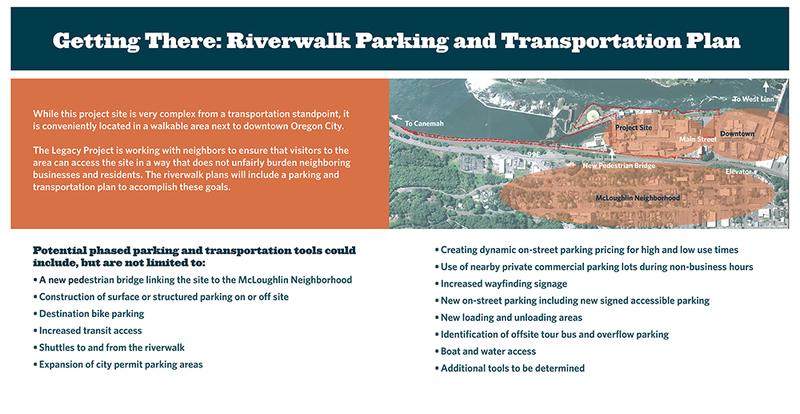 Programs that will be considered include: increased signage and transit access, shuttles, expanded permit parking areas, usage of nearby commercial parking during non-business hours and the construction of structured parking. Planning will not stop at phase one. With help from the community, the Willamette Falls Legacy Project will also consider the larger picture of public and private redevelopment of the entire 22-acre site, which is a process that will unfold over many years. Our project team plans to identify improvements that can be successfully phased in as redevelopment occurs over time.